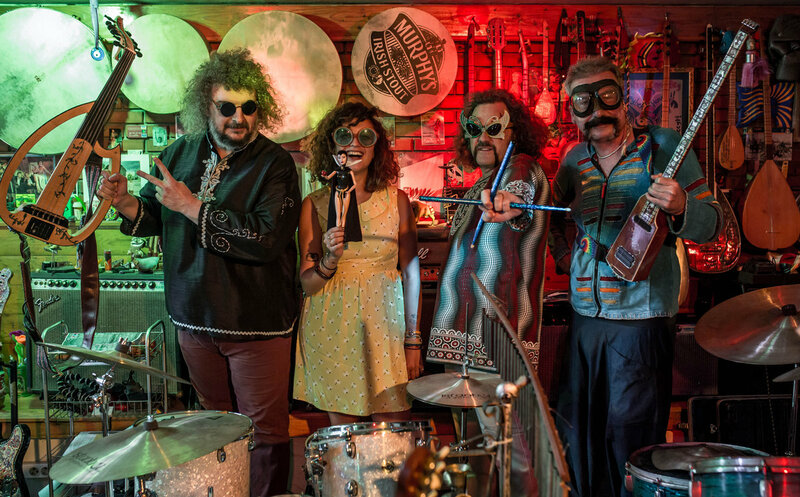 Celebrating their 20th anniversary, Turkey’s most beloved alternative music purveyors, Baba Zula play a blistering gig at Istanbul's Boiler Room in 2017. Led by founders Levent Akman and Osman Murat Ertel, Baba Zula create a unique psychedelic sound, combining traditional Turkish instruments, electronica, reggae and dub. The core of their sound is the saz, a Turkish bouzouki-like stringed instrument with a bright, high-pitched sound.